It’s always worthwhile to take a look at how wealthy investors identify and exploit opportunities in current markets. What stock is the Oracle of Omaha, Warren Buffett, targeting these days and why? What about Amazon’s Jeff Bezos? What new technologies are his companies delving into? With that in mind, let’s look more closely at major land acquisitions by overseas investors. Saudi Arabia’s recent purchase of the Ulmer Ranch in the American Southwest is definitely worth considering. Listed among the world’s wealthiest nations, it’s also one of the driest with 95 percent of the land considered desert. Until recently, 90 percent of the little water they do have was being used for agricultural purposes. The result has been a government ban on water-thirsty crops, namely alfalfa, which is imperative to the thriving Saudi dairy industry. In an effort to provide feed to more than 170,000 cows, Saudi Arabia’s largest dairy, Almarai Company, paid $31.8 million to acquire 1,790 acres near Blythe, California. The purchase follows the acquisition two years ago of 10,000 acres in Vicksburg, Arizona, for $47.5 million. The water rights on both are key. Blythe is located in the Palo Verde Valley and has valuable Colorado River rights, and the Arizona holdings are in an area with no groundwater regulations. In addition to growing its own alfalfa, Almarai is also buying hay from neighboring farmers for export to the kingdom. The Saudis are not the only foreign investors eyeing American ag land. 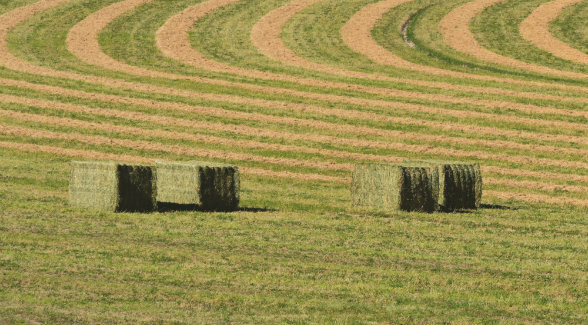 China buys as much as 20 percent of its total hay imports from the United States, and Japan and South Korea are also active buyers.